Governor, who elected anonymity, said” Some of the present commissioners and principal officers are not loyal to the governor, his deputy or the party (Action Congress). “They double deal, they honor this administration with their lips, but their hearts are far from us”. “When you have people working with you, time and action will definitely reveal their true identity”. 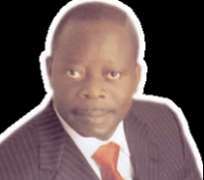 Anticipating Oshiomole axe huhuonline.com learnt that two serving Commissioners of the PDP have thrown in the towel as members of the Adams Oshiomole Cabinet in Edo State. They are Otunba Oriaifo Fidelis, Commissioner for Transport and Mr. Vincent Akhere, Commissioner for Arts, Culture and Tourism. Their letters of resignation were made public by the State Chairman of the PDP, Chief Dan Orbih. It is no longer news that in Benin (Oct. 31st) no fewer than six Chairmen of the Peoples Democratic Party (PDP) in six Local Government Councils and their councilors, along with their leaders, defected to the ruling Action Congress, with Governor Adams Oshiomole asking on the former Chairman of the Board of Trustees of the PDP, Chief Tony Anenih to retire from partisan politics or be forced out by the masses of Edo State.The defectors are, Crosby Eribor (Egor), Mrs. Itohan Osahon (Ikpoba Okhai), Barr. John Obaze (Uhumnwode), Faustin Ovienroba (Ovia North East), Chief Stanley Odidi (Etsako East) and Omorogieva Gbajumo (Oredo). From huhuonline.com checks other notable former PDP leaders that left the party for the AC during the rally tagged “operation political earthquake”, two Benin based transporters, Messers Godwin Edosa, John Osamede Adun a.k.a Bob Izua, former state Chairman of the defunct Social Demcratic Party (SDP), Chief Michael Obomese, former State Deputy Chairman of the PDP (Edo Central, Chief Henry Okoro, the Obiyan brothers, Dr Jacob and Willy Obiyan, Chief Mrs. Evelyn Igbafe and a host of others and their supporters. Comrade Adams Oshiomhole Edo State Governor in veiled reference to what Chief Anenih said at Ewhohinmi rally of the PDP three weeks ago, said Chief Anenih failed as Minister of Works as he could not fix the Lagos Benin express and the Auchi-Okenne-Abuja express road. An elated Oshiomhole who displayed several dancing steps described the rally as the final burial rites of the god fathers in Edo politics and the PDP and took a swipe at Chief Anenih who, he said, had enslaved the people of the state for long. He condemned in totality the submission of some people he described as sycophants who normally call Anthony Anenih ''Mr. Fix it'', saying Anenih was a failure total failure to humanity. His words: “at their Ewohimi rally the god father (Anenih) said I do not know politics and that labour is different from governance. But today we have found out who knows the politics. Three weeks ago, I was watching on television, and I saw the god father merely looking for children. He went to the village to run his mouth. On that occasion he said that Oshiomhole would soon know that there is a difference between Labour and governance and the man who was speaking had the opportunity of being a Minister of the Federal Republic of Nigeria with a mandate to fix our roads. They call him Mr. Fix-it but he could not fix Lagos Benin road. He could not fix the roads in Uromi where he comes from. He could not fix water for his people. However, opposition parties in the state have not deterred in throwing tantrums and stinkers at the Governor of Edo State, Comrade Adams Oshiomhole. They chided him over his protracted squabbles with his matrimonial wife who they say have suffered many pains as a wife of a Trade unionist who could not win election at the polling boot but at the Court of law. They also revealed the part where oaths are taken in Edo State. Affirming that a trade unionist can never do better in politics but may excel in activism or serving a sharp opposition to an erring government that is power. They also pooh-pooh him by saying his inability to manage his home perfectly has shown that he cannot manage a cosmopolitan state like Edo State. A source confirmed to huhuonline.com that Oshiomhole is involved in reckless drinking habit and love for different women, which has resulted to the relocation of his wife to United States of America when she could no longer cope with the retrogressive and inhuman activities her husband Comrade Adams Oshiomhole. The source further stated that the supposed Edo State First Lady Mrs. Clara Oshiomhole some weeks after the Governor took oath of office following the appeal Court verdict. Mrs. Oshiomhole actually initiated a pet project, Health Foundation for the underprivileged and childcare focus on women and children. But since then the pet project was yet to be officially launched before she angrily faded out of the limelight. This is because the husband (Governor) frustrated her efforts. Information made available to huhuonline.com showed that Eyei, a small village on the outskirts of Akoko-Edo Local Government of Edo State, which also boarders Okene in Kogi State, has now become a beehive of activities for political oat giver and takers in Edo State. Before the political situation in the State became sour and tense the village was relatively unknown, except for its massive production of yams and other food crops for local consumption. Right now the village has come to the limelight sequel to the activities of politicians, especially those in PDP and that of the ruling AC in the State who often throng the place for oath taking amidst heavy presence of deities at the evil forest. Investigations revealed that charms and other metaphysical powers are prepared for politicians in anticipation to make them battle ready in pursuant of their political endeavors.